It is common knowledge that getting the recommended 7-9 hours of sleep is crucial to your overall health and well-being. It improves your memory and mood, strengthens your immune systems, fights inflammation, and even aids in weight-loss. Despite all these benefits, however, many don’t make it a priority, with more than a third of adults in the U.S. not getting enough sleep. Even though you are unconscious during sleep, your brain is hard at work repairing itself. According to an article published in Healthline, pathways between neurons are formed during sleep. These pathways are what help you remember the things you learned throughout the day. Not getting enough sleep leaves your brain exhausted, causing it to not perform its duties as well causing poor memory. Other effects of sleep-deprivation on the brain include slow reaction time and a difficult time concentrating. Not only does lack of sleep affect cognitive ability, but it also plays a role in mental health and disorders. While sleep deprivation may not cause depression, it can worsen it. An article in Forbes mentions studies that have found people who sleep less than six hours are more likely to be depressed, and people with insomnia are more likely to struggle with depression and anxiety. Another study mentioned in the article found that the brain clears out toxins, including those associated with Alzheimer’s disease, while we’re asleep. Not only is sufficient sleep important for your mental health, but it is also important for your physical health. According to the National Sleep Foundation, those who do not get enough sleep are at a higher risk for cardiovascular and coronary heart disease. Even though these diseases are associated with old age, obesity, and smoking, not getting enough sleep automatically puts you at risk regardless of how healthy or young you are. One study found that adolescents who did not sleep well had higher cholesterol levels, a higher BMI, and higher blood pressure. 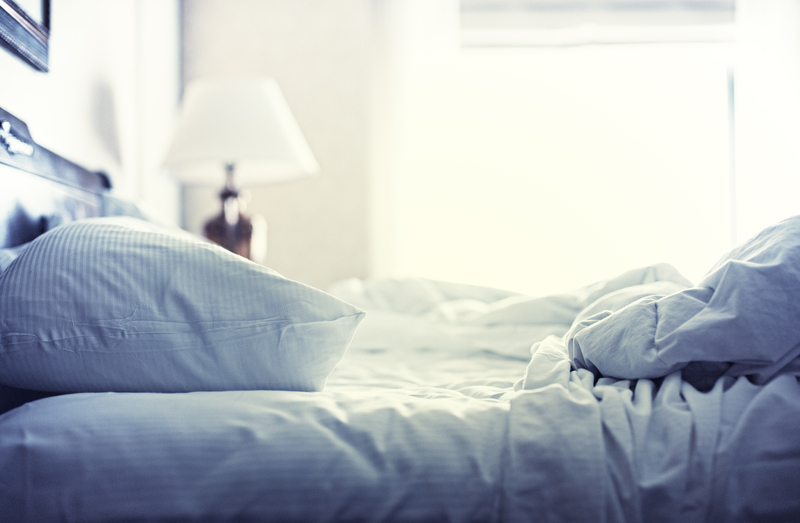 “When you’re sleeping you’re regulating hormone levels, you’re regulating insulin levels, your blood pressure is being kept under control, there are a lot of things going on, and if you’re not getting enough sleep you’re throwing these things out of whack,” says Shelby Freedman Harris, Psy.D, director of behavioral sleep medicine at Montefiore Medical Centers. Other negative effects can include unwanted weight gain since lack of sleep causes you to feel hungrier and crave foods that are high in fats and carbohydrates, and a compromised immune system. There are outwardly visible consequences for not getting enough sleep including premature wrinkles caused by the build-up of Cortisol, a stress hormone. Getting enough sleep may be something we’re not prioritizing enough in our busy modern world, but the health consequences of sleep deprivation are real—and they add up over time. Organizing your surroundings, maintaining a sleep schedule, and avoiding the use of screens before bed are a few changes that provide your mind and body with the opportunity for renewal and rejuvenation, which can help enhance your everyday performance.